We respect your privacy. Cache Creek Casino Resort does not sell, barter or trade any information about your visit to our website to any external party. Neither do we sell, barter or trade any information you submit to us via the forms on our website or emails you send us. If, when using our website or our services, you supply us with your email address, you could receive periodic emails from us with information on Cache Creek Casino Resort and our events. However, if you ask to be removed from our mailing list, we will do so promptly. Cache Creek Casino Resort values our relationship with you and treats your personal information with complete confidentiality. We will never share your information with a third party, nor will we ever initiate telephone or email contact with you for the purpose of gathering personal information. 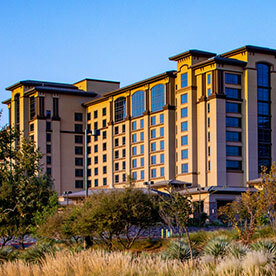 Should you ever receive phone or email contact from individuals seeking personal information who claim to represent Cache Creek Casino Resort, please contact us at 530-796-5343 or email [email protected] to report this.